New Diorama Theatre is an 80 seat theatre based just off Regent’s Park in the heart of central London. Unique for our development and support of early and mid-career theatre companies and ensembles. In the eight years since we opened we have welcomed over 150,000 audience members to productions by the best theatre companies making work in the UK today. 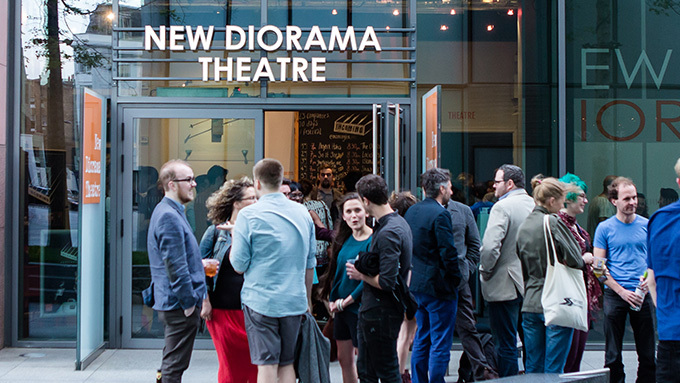 Soon after opening, New Diorama was recognised as a “must visit destination for London theatre-goers” (Time Out) and awarded two consecutive prestigious Peter Brook Awards for the first two years of our programming. In 2018 we were delighted to be awarded the main Peter Brook Empty Space Award, and were named Fringe Theatre of The Year 2017/19 at The Stage Awards. Productions created for and with New Diorama Theatre have transferred to festivals, and countless venues around the country and internationally. As well as supporting and developing high-quality theatre, New Diorama Theatre works extensively with our local community, creating projects, workshops and productions as well as ensuring the theatre space is somewhere our neighbours can come and be creative themselves.